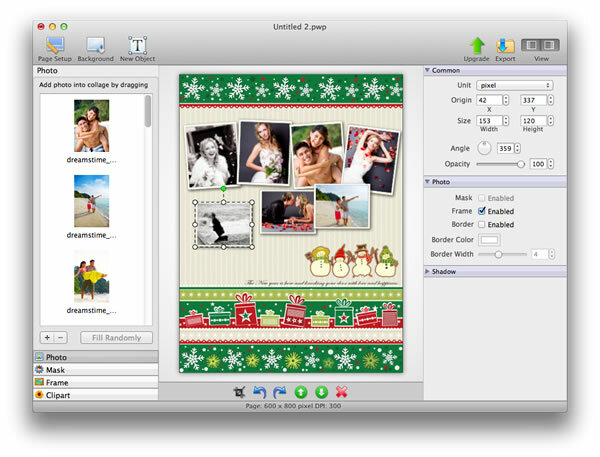 Picture Collage Maker Lite for Mac is a powerful and easy-to-use photo collage maker for Mac OS X, which allows you to create your photo collages, greeting cards, posters, scrapbooks freely. Picture Collage Maker Lite for Mac is a powerful and easy-to-use photo collage maker for Mac OS X, which allows you to create your photo collages, greeting cards, posters, scrapbooks freely, it helps you transform your special moments into unique photo collages for sharing with families and friends. This professional watermarking program helps you protect images. You can add a color transparent visible watermark to your digital images and photos. The watermark can be your copyright or the URL of your site or your logo. Create a great looking banner ad, web button, and web graphics quickly with Banner Maker Pro. Easy to use wizard interface guides you step by step through the process. Many options available - animation, gradient text, 3D effects, bevels and more. Calculation of the optimum cross-section of slender struts strained for buckling and strength check calculation according to Johnson, Tetmajer, Euler and Secant method. Simple definition of the strut type - 40 types of predefined cross sections. Freemore PDF to Word Converter is a desktop document conversion tool to convert Adobe PDF files to Microsoft Word and TXT while maintaining the same quality of the original PDF file. It can convert all the pages, or any pages range of the PDF file.